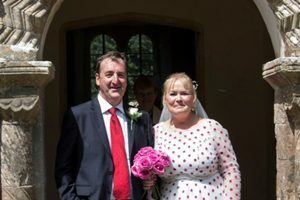 I am always happy to marry any couple who live in Coleford or Holcombe, or who have a connection with either village. Please get in touch with me as soon as you can to talk about dates, and also to come and see the church. 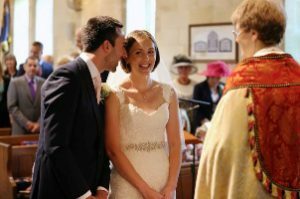 You may find it helpful to look at this excellent Church of England website Your Church Wedding: www.yourchurchwedding.org However, I am here to talk to you about your wedding so please do email or ring me (details below) and then we can meet to have a chat. Holcombe Old Church: extra fees supplied on application. All wedding fees will be included in your invoice, to be paid at the time of your wedding rehearsal. . 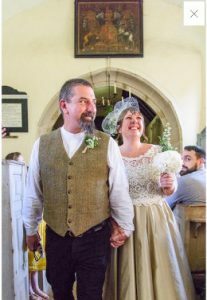 Flowers: you may engage a florist to provide flowers, you may do your own, or you may simply have whatever flowers happen to be in church for that weekend. If the last, there is no charge. If either of the first two, then the cost is up to you. We do ask that you leave some flowers in church for the Sunday, and depending on what you do, you may need to have someone responsible to take the flowers out during the following week. I do marry people who have been divorced. I shall have to see your divorce papers, and we shall need to talk about each situation individually with any couple wanting to marry. 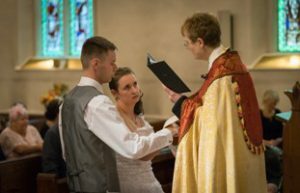 We cannot guarantee to marry every couple where there is a previous marital partner still living, but we always do our best to accommodate people. This is your wedding so do email me on clarissacridland@hotmail.co.uk or ring me on 01373 812705 as soon as you can.